Next Post → This was their New Year’s Eve party? I like the Speed Bump okay, but think it takes a couple wrong turns. Wearing a Groucho nose and glasses may be a disguise, but I don’t think it makes you an imposter. Further, it looks like it’s heading for the art technique of “impasto” but doesn’t get there. The Bizarro is kinda great, but creates for me the distraction of worrying if the cans of beer would turn out to be a can of worms. As a longtime driver of classic SUVs, I get hung up on the vehicle in the Bizzaro. The old Chevy Blazers were tagged K5, but I don’t know what K2 would be. The rear-mount spare is usually indicative of a Bronco. Problem is that so little is visible. My guess would be a 1977 Gen 1 Bronco with uncut rear fenders. @ Brian in StL – The “K2” is one of Piraro’s favorite secret “Easter Egg” symbols, but it appears that he shares your interest in older cars, and knew that it would fit with the vehicle design. “he old Chevy Blazers were tagged K5, but I don’t know what K2 would be. ” That makes the K2 Easter egg doubly clever. I’m very impressed. Pun though it is, the “bait and tackle” one was an LOL for me. Heh…I see I’m not the only one checking out the SUV parked out of frame. It seems to me Bizzarro has employed drawings of recognizable older cars in previous strips. Yes, in one of his blogs he mentioned that he tries to make his ‘old time’ cars as accurate as possible. If you were to go thru his archives, you’d find recognizable cars. 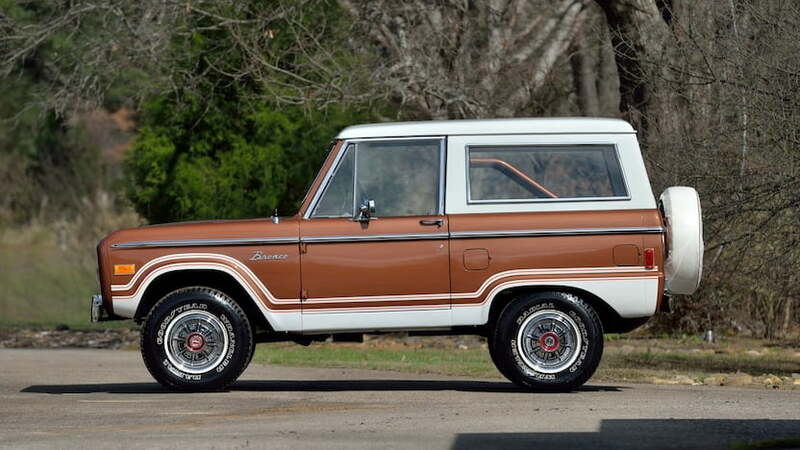 Those Early Broncos fetch a fair price, especially all original. That one I showed was from the Mecum auction site and predicted to sell for between 55k and 65k.